Teaching Blog Round Up: Are Your Kiddo's Into The Mustache Craze? Diane from TeachWithMe.com here, I’m thrilled to be one of the newest guest bloggers and hope you find my posts helpful. I’m not sure why there is so much “Mustache Mania” going on, but I thought I’d hop on board. I think if you grab a student’s attention, you are better able to get some knowledge into their head, what better way to do that than to incorporate something children are excited about into your lessons. 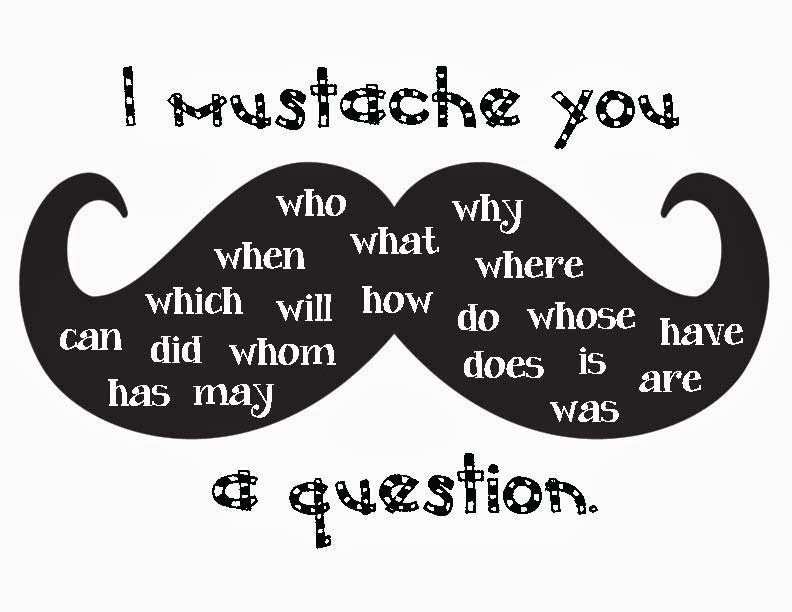 I just love the phrase, "I mustache you a question." I think it's a cute way to introduce question activities to children. I don't know about your kiddo’s but my Y5's had a difficult time understanding QUESTION statements, versus TELLING statements. Whenever a visitor would say: "Does anyone have a question?" I'd cringe, because I knew the majority of waving hands couldn't wait to share something, instead of ask something. To help them understand the concept, I made a list of question words. I told them, that if their sentence didn't start with one of those words, then it wasn't an "asking" sentence, and they were NOT asking a question. I had them practice by choosing a partner to take turns asking questions with. 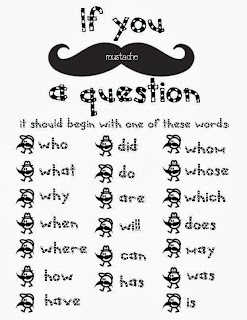 The mustache craze provides a wonderful vehicle to design posters and activities around, to help youngsters grasp the concept. 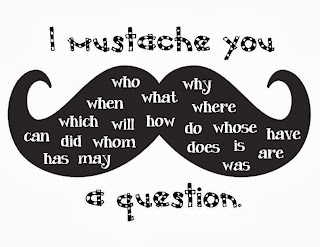 4 “I ‘Mustache’ you a question” posters. A blank set of mustache templates for you to program with whatever. A question-word, alphabetical-order worksheet + a certificate of praise. Click on the link to grab it. 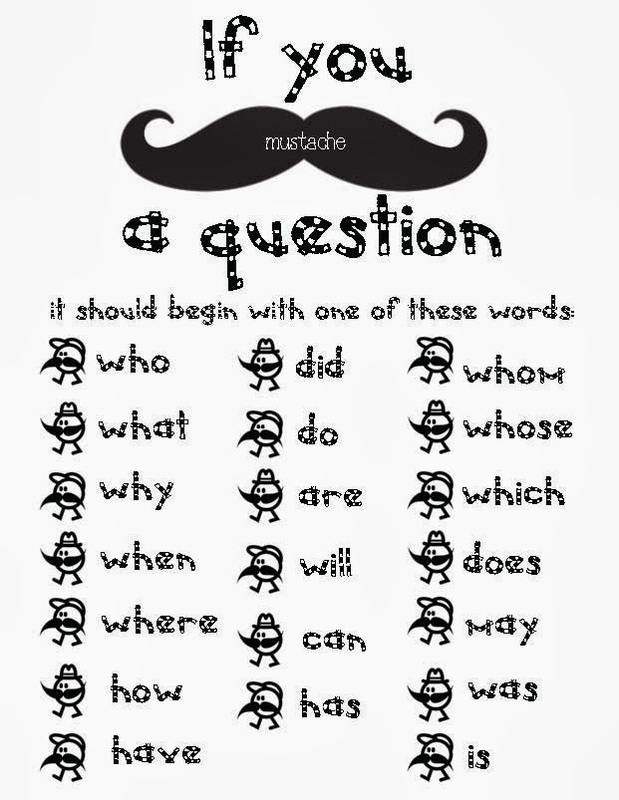 "I Mustache You A Question" packet. 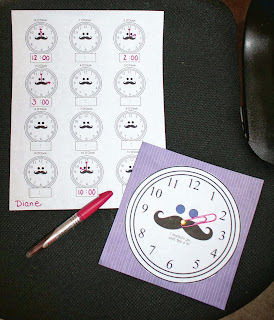 Measuring and Telling Time are two other subjects that were fun to design a mustache theme around. The 10-page Measurement Packet will help cover quite a few Common Core Standards, with interesting and fun measuring activities. The "I Mustache You What Time It Is?" is a game that includes a recording sheet, mustache clock spinner + a telling time matching worksheet, which you can also use as an assessment tool for time to the hour. I hope you and your kiddo's enjoy these activities. I'm looking forward to sharing more next month on the 19th. Until then be safe.